1. Who was the main character based on? 2. Is the heroine like you are? 4. Why did you decide to make the main character immortal? These questions and others like them really surprised me. The characters in my books are based on themselves. That is the only answer I had. My stories arrive through the characters. Occasionally I might toss in an anecdote very loosely based on something. (The dog, Wolves, has traits from several dogs I’ve been around.) For the most part the characters come from the muse. That means the characters come from so deep in my subconscious that for me they’re separate entities. I hope that makes sense. Kahtar showed up one day, he was immortal. The heroine arrived the same way, as did the lady from the coffee shop. I spent quite a bit of time with them before I got to really know them, but I never consciously planned what they were like – or even why they were like they were. I listened to them. Once I took a class by Jeff Gerke about Plot versus Character. (He wrote a book by that name.) It was about helping writers create layered characters, and constructing a three-act story structure that can complement and sustain a character arc. It made me realize that I’m what can be called a “character writer”. Usually writers are one or the other – often either plot or character will come a bit easier to a writer. For me it is without a doubt the characters. They just come to me, and I simply start writing. All I need to start a story is a blank document. Someone who just starts writing a story without plotting ahead is often called a “Pantser” and someone who plots out the story ahead of time – a “Plotter”. When I first started to write stories I just let my characters run wild. I ended up with ginormous stories that meandered. But oh, did I enjoy writing those stories. 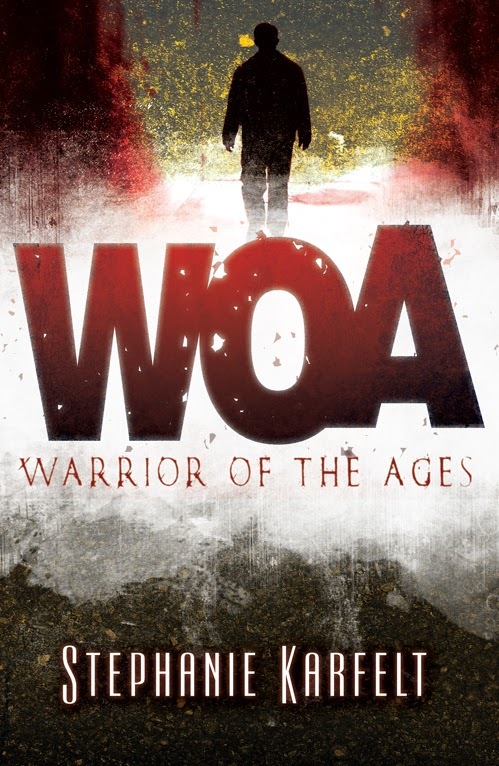 The reason Warrior of the Ages has such a layered story world is because I’ve spent years writing out the histories of many of the characters, and eventually I even found the plot threads. That is when the work began; constructing the story arcs, and many rewrites and five years later I had a book. Now that might not be a very logical way to write. It takes a really long time. Not only did I write for five years, but I wrote obsessively for five years – full-time plus. I learned a lot by writing like that though. Also, I didn’t end up with just Warrior of the Ages, but with a six book series in those five years. So you be the judge. Subsequent books outside that series have been written much quicker too, and I think that is because I found my writing groove by just writing. What I’m wondering is, for those of you who write – where do your characters come from? And for those of you who read, do you ever wonder where a writer comes up with his characters? Or do you only wonder that if you know the author?